As a John Maxwell Certified Coach, Teacher and Speaker, Joseph can offer you workshops, seminars, keynote speaking, and coaching, aiding your personal and professional growth through study and practical application of John’s proven leadership methods. Working together, I will move you and/or your team or organization in the desired direction to reach your goals. 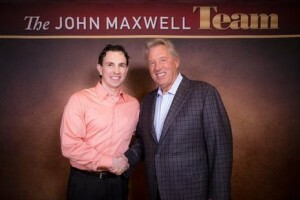 After studying John C. Maxwell’s works I was exposed to more purposeful methods of understanding, communicating, and adding value to others. Using the resources available from the John Maxwell Team, there is no limit to what can be achieved both on an individual, corporate and group/teams basis. My ultimate passion and dream is to help others find their purpose and fulfill their dreams. Connect with me now, as I would like to help you to reach your purpose and goals through an intentional plan of development. Working together, we can facilitate positive and profitable change, improve productivity and create the atmosphere that is necessary for effective leadership. I have personally used these tools to enhance my own productivity, development and decision-making skills to create a more balanced lifestyle. I have been studying and personally implementing the philosophies behind personal development and the role emotions and vision play in leadership for the last ten years. Joseph Bush offers half day and full day leadership training sessions. On behalf of the Shinnyo-en Youth Association and the Foundation, I wanted to write to you to express our appreciation and gratitude for the leadership training that you prepared and delivered to the YA leaders on Saturday. You presented the content that we asked you to deliver with much warmth and ease, and also with a sprinkle of humor. Your training helped the YA participants learn the important message that each one of us has a different personality and tendency, and strengths and weaknesses, to be an influential leader. As a former college educator who used to teach the principles of teaching and learning, I can attest that you created the learning environment which was very conducive for the learners to absorb the content easily with a lot of fun. – Ineko T.